The taxes occupy a special place among the many economic levers by which the state influences the market economy. In market conditions, and particularly during the transition period to the market, the tax system is one of the most important economic regulators, the basis of financial and credit mechanism of state economy regulation. The government uses the tax policy as a certain impact regulator of the negative market conditions. Taxes, as well as the tax system, are a powerful tool of economic management in market conditions. The effective functioning of the entire national economy is based on the system of taxation. The tax issues occupy a special place in the financial planning of many companies in the West countries. In the conditions of high tax rates, the wrong or inadequate accounting of the tax factor, could lead to very adverse effects or could even cause the bankruptcy of the enterprise. On the other hand, the proper use of the benefits and discounts, that are provided by the tax legislation, can provide not only the safety of the received financial savings, but also the possibility of financing the expansion of activities and the new investments, by saving on taxes, or even due to tax rebate from the state treasury. The application of taxes is one of the economic methods of management of the interrelations between the government interests and the commercial interests of entrepreneurs and corporations, regardless of departmental affiliation, proprietary forms and organizational and legal forms. The taxes could be used to determine the relationship of the entrepreneurs or enterprises of all forms of ownership with the state or local budgets, with banks, and also with the higher-level organizations. Moreover, the taxes could be used to regulate the foreign economic policy, including the foreign investments, and also to formulate a remunerative income and business profits. By applying the taxes, the government gets at its disposal the resources that are necessary to carry out the public functions of the State. Furthermore, the taxes are important in order to finance the costs of the social security that affect the distribution of income. System of taxation determines the final distribution of income among people. The transition from the administrative and management methods to the economic ones, increases the role and importance of taxes as a regulator of the economy, the promotion and development of priority sectors of the economy, through taxes the state can pursue a vigorous policy in the development of science, moreover, the state could absorb the industry and eliminate the unprofitable enterprises. Today, the tax system has given food for many academic debates about the ways and methods of reformation. Now there are many kinds of literature on taxation in the Western countries, moreover, the wide and long-term experience has been accumulated. 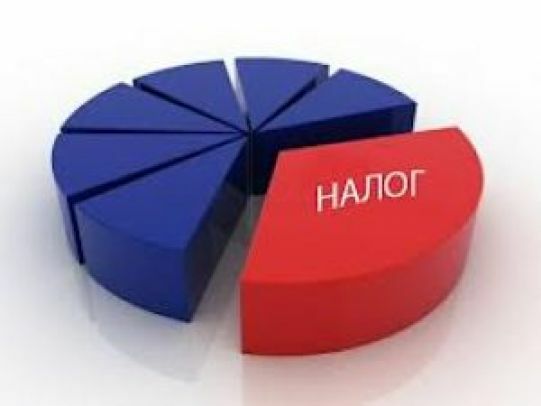 On the other hand it should be noted, that due to the fact that Kazakhstan's tax system was created from the scratch, today, there are very few domestic monographs about the taxes in which the reader could found the competent and fully informed proposals on the establishment of the Kazakhstan's tax system that meets conditions of our country. The steady rise of the role of taxes in the social and economic development of most countries is understandable: the success of the public management depends on the solving of extremely difficult budgetary problems. After all, the taxes have always been the main instrument in these conditions. Hence, the close attention of the tax experts and professional analysts is drawn to the questions of further development of the theoretical and practical sides of taxation. Meanwhile, the tax reform, which means the total or partial modification of tax relations because of conversion of the pre-existing tax system with the simultaneous conversion of the former mechanism - a system of tax administration, is a system, the special economic system. 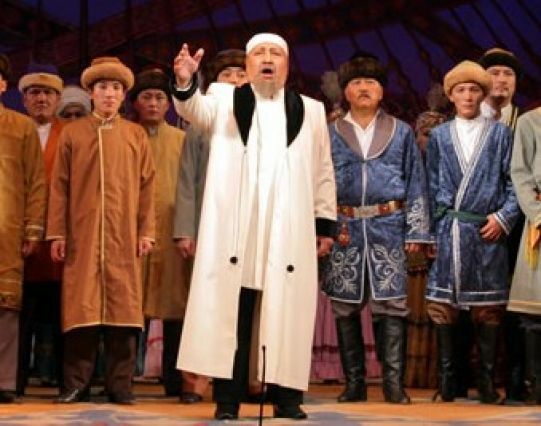 71 years ago the "Abai" opera was first staged in the Kazakh Academic Opera and Ballet Theater. Libretto by M. Auezov, music by A. Zhubanov and L. Khamidi, director — K. Zhandarbekov. The opera is based on dramatic life story of the poet. In 1958 it was first shown in Moscow. It also had a riot in Berlin and Dresden (1986). 105 years ago Bauyrzhan Momyshuly (1910-1982) was born. He was legendary military leader, commander, Hero of the Soviet Union, Russian and Kazakh writer, veteran of the Great Patriotic War. He was born in Zhualy District, Zhambyl Region (southern Kazakhstan). He studied a course in economics in the Leningrad Institute of Finance and the Military Academy of the Chief Headquarters of the Armed Forces of the USSR. In 1928-1931 he worked as a teacher at a primary school, Secretary-General of the District Executive Committee of the Communist Party, Head of Zhualy Police Office. In 1931-1932 he was a student of the Workers’ Faculty at the Kazakh Agricultural Institute and worked as an economist at the Shymkent Industrial Bank. 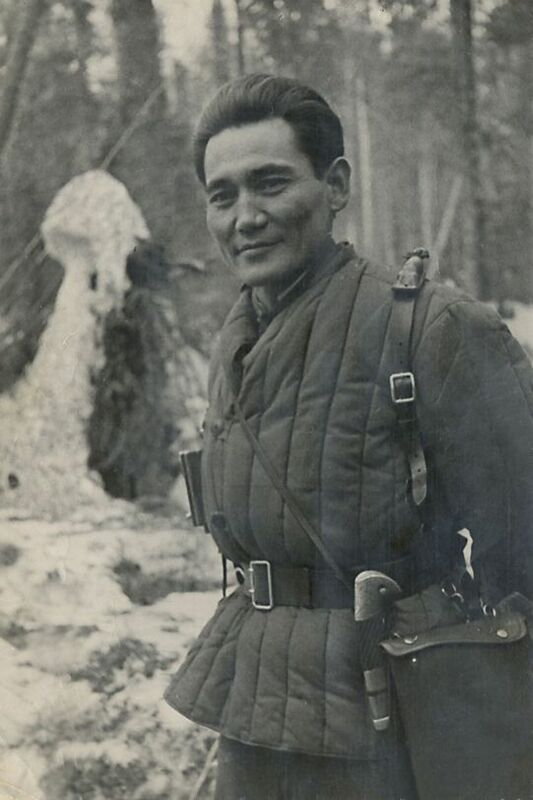 In 1932-1936 Bauyrzhan Momyshuly served in the army. In 1936-1940 he continued his military service in the Far Eastern and Kiev Military Districts. In 1941 — Senior Inspector of the Enlistment office of the Kazakh SSR. In 1941-1944 — a battalion commander, commander of the 316th Rifle Division. In 1944 −1952 — a commander of the 9th Guards Rifle Division. In 1952-1956 — a lecturer in the Military Academy. In 1956 he retired and started creative activities. He is the author of the following books: "Officer’s Diary", "One night’s story", "Moscow is behind us", "General Panfilov", "Front-line meetings", "Our family", and to name but a few. Momyshuly was mainly known due his appearance in Alexander Bek’s Volokolamsk Highway (was translated into Kazakh language by Kurmanbek Sagyndykov). The book was dedicated to the heroic deed of Bauyrzhan Momyshuly at the period of the Great Patriotic War. Shortly before the collapse of the USSR, the chief of the Kazakh Supreme Soviet, Nursultan Nazarbayev, had managed to convince the authorities in Moscow to posthumously grant Momyshuly the country’s highest military honor, and he was declared a Hero of the Soviet Union on 11 December 1990. After the republic became independent, he was also made a People’s Hero of Kazakhstan. The capital of his native Zhualy District is named after him.